How do you create the ultimate employee engagement survey? A survey which gets good response rates, which isn’t a drain on your employees’ time, and a survey which can give you a genuine early warning if your top talent is unhappy or planning on leaving? The key lies in understanding the changing landscape your workforce is navigating. Whilst both my mom and dad had a career (if not a job) for life, expectations are very different now. Careers are multi-faceted. People change quickly to get where they want to go. Your employees are making their decisions faster. Can an employee engagement survey run only once a year really have an impact on your hottest talent? Workplace expectations have changed. How will you find out if your employees are engaged? The arrival of Generation Z into the workplace has exploded the long-held “career for life” belief. Many of us have very different workplace expectations than those who came before us. Employees are more entrepreneurial, and opportunities for advancement motivate them. In fact Gen Z workers state that career support is more important to them than money. And face-to-face communication matters more than to Gen Y. (Source: Global Workplace Expectations Study) My career expectations were forged in the nineties, reading Tom Peters and visiting career advisers who helped decide “what to do with my life.” (I recall being told I would be good at forestry…) Contrast that with your newest recruits! They have grown up visiting the Lifehacker website and reading Tim Ferriss’ 4 Hour Workweek. They don’t expect a career for life, never mind a job for life. Gen Z workers have an innate understanding of personal branding and marketing that comes from publishing news about themselves on Facebook and Instagram for years. Even today’s entrepreneurs and role models use one form of success to vault into another. 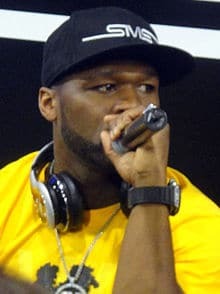 50 Cent, who most us us think of as a rapper, is worth hundreds of millions of dollars because he used his fame to break into other markets. For example, 50 Centworked with the drinks company Glacéau to create a vitamin water drink called Formula 50. In 2007, Coca-Cola purchased Glacéau for US$4.1 billion. Forbes estimated 50 Cent, who owned a stake in the company, earned $100 million from the deal. He’s also involved in acting, and owns record labels, clothing lines and many more. Elon Musk, one of PayPal’s founders, is an entrepreneur but also an inventor, philanthropist, marketer and visionary. As well as founding Tesla Motors he has started SpaceX, Solar City, and numerous others. Both 50 Cent and Elon Musk achieved astonishing success before turning 40. It’s leaders like this that our workforce are learning from. At one of the companies I advise, a young graduate who had seen off 20 other competitors to get a marketing job, quit the week before she was due to start to go travelling for a year. Even in this recessionary environment, Generation Z are confident in their ability to generate income anywhere, and they won’t compromise their life for their career. They understand how important it is to enjoy life’s experiences along the way. Not one job but many. 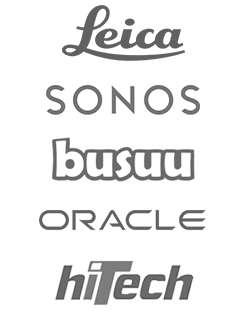 Not one career but a portfolio. The annual employee engagement survey of 30 questions just doesn’t measure up in this environment. It’s not regular enough, and it can’t be answered easily from a phone or tablet – the Gen Z devices of choice. It’s also just not engaging enough! And I’d argue we need employees like this to keep our companies fresh and fleet-of-foot. Critical then, that your employee engagement survey reaches these Gen Z-ers… before they vote with their feet. So how can you check these employees are engaged and happy? Your workforce will increasingly want to give you feedback. Gen-Z is the feedback generation. They are used to liking people’s Facebook posts, retweeting Tweets, even leaving feedback about your business on employment’s answer to Tripadvisor, Glass Door. Employees are now very used to the fact that their opinion matters. You need to make sure their opinion gets to you, as their employer, as regularly as possible. If you only give staff the opportunity to tell you once a year how they feel about your business, you’re missing a huge opportunity. At the same time good employees tend to be busy, and it’s important they don’t feel inundated with lengthy employee engagement surveys. It’s why I believe, a monthly survey where employees can answer a single question very quickly and get back to their day job, can have a huge effect on employee engagement. 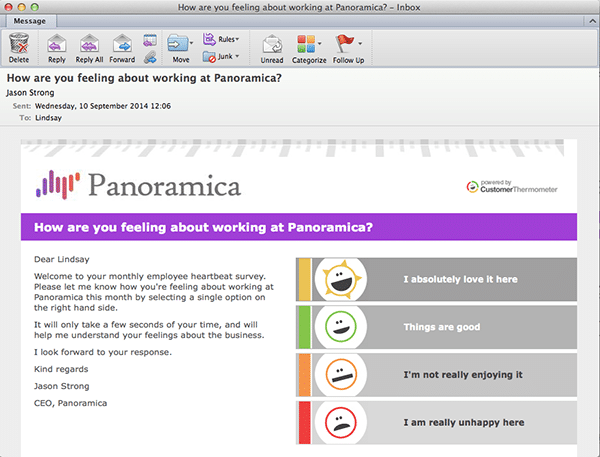 One of our customers sends out a single employee engagement survey at the end of each month. They simply ask how the employee is feeling about working there. All employees are encouraged to click the feedback. That feedback is then analysed, for pockets of dissatisfaction. Those pockets might reveal that employees are in a specific country, or work for a specific line manager, or are assigned to the same project,but feedback is reviewed to see where, on a monthly basis, unhappy employees exist. Additionally, this feedback is given to each member of staff’s line manager before the monthly one-to-one. This enables the line manager to understand the employee’s level of engagement before the one-to-one takes place. Thus giving the line manager and better opportunity to tackle any dissatisfaction, and work to turn it around. Whilst annual employee engagement surveys have their place, the changes in company/employee relations outlined above mean that talent and HR managers and directors need to look at the problem of regularly sensing staff ‘heartbeat’ and engagement in a different way. Using a monthly solution, you can vary the survey questions you ask. Some months you could ask about working environment, other months you could ask about satisfaction with workload or stress. Doing it for one month won’t work. You need to see trends – you need to show you are serious as a company about the process and so repeating monthly would be the key to success. Doing it this way is faster and more fun for your employees. And it gets much higher response rates because it can be answered on the hoof. It’s more mobile, whilst being completely trackable to the individuals who gave feedback. Even in cases where the annual longer survey still takes place, supplementing it with a monthly “heartbeat” style employee engagement survey will deliver actionable employee engagement results on a monthly basis for all line managers. You can have a go yourself with a free trial of Customer Thermometer here. 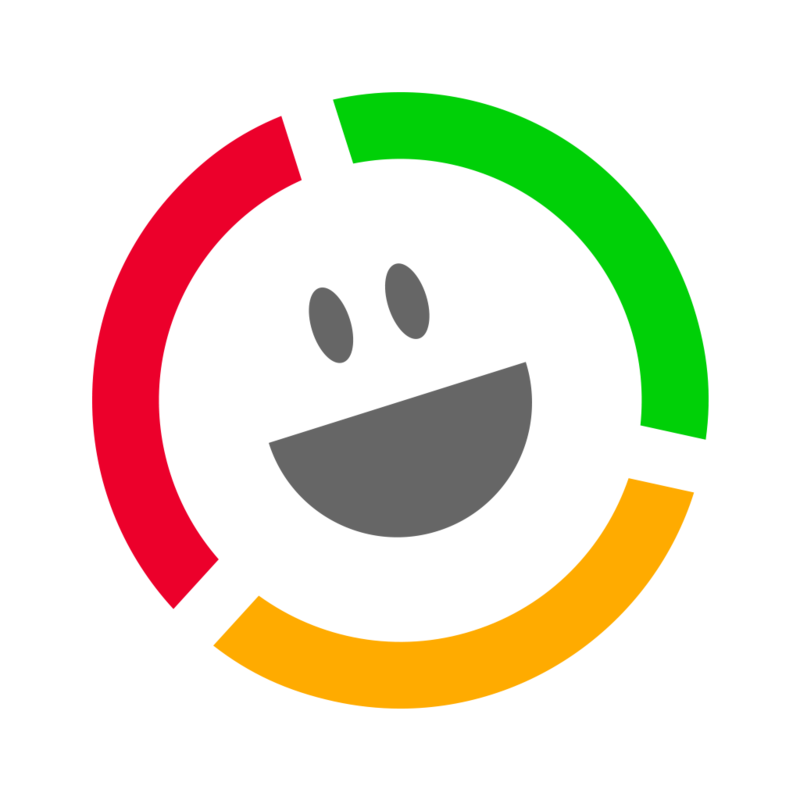 If you’re a Net Promoter company, you can even ask the Net Promoter question, and calculate your employee engagement NPS score using our service.